Fairy tales are all the range for adults right now. Have you seen all the TV versions? Well fractured fairy tales are so much more than hip. They are great teaching tools about point of view, characterization, and of course alternate endings. They are also just really fun to read. 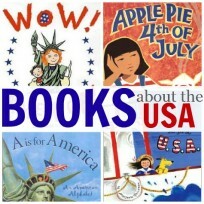 This list like all of our book lists include affiliate links. 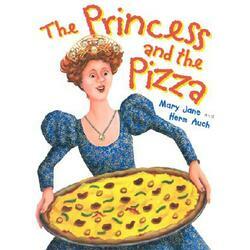 The Princess and the Pizza by Mary Jane and Herb Auch is really a cute re telling of the classic Princess and the Pea. They have modernized it and made it a little more feminist in the process, exactly my kind of book. The text is a little long for toddlers but my son sat through about half before wanting to go back and look at the illustration of the horse on the first page. The message is sweet, saying that a woman doesn”™t need a man or marriage to attain her goals! Beware though it will make you crave pizza. 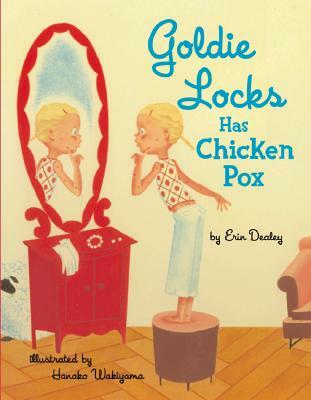 Goldie Locks Has Chicken Pox by Erin Dealy isn’t so much a fractured tale as it is a tale with very familiar characters. Goldilocks has chicken pox and throughout the rhyming text other characters like Little Red Riding Hood, Little Bo Peep and Henny Penny pop up. The story itself is more about how her little brother doesn’t think it’s at all fair that she gets so much attention and things like ice cream because she is sick. As most of us had chicken pox as kids we will relate all too well to this book, I am not so sure our kids will have the same personal connection. The illustrations by Hanako Wakiyama are fab! 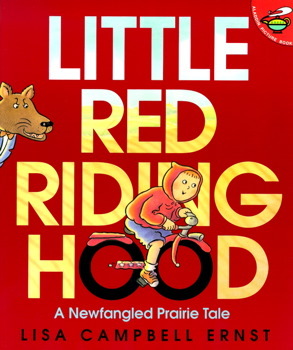 Little Red Riding Hood – A Newfangled Prairie Tale by Lisa Campbell Ernst is a cute twist on the familiar Little Red Riding Hood. In this version Granny is the type of Grandma I hope to be someday. Independent, brave, and compassionate. She doesn’t need to be saved, because she does the saving. The wolf underestimates Granny and in general is portrayed as simply misunderstood and in need of discipline . In the end works for Granny and reminds Red not to talk to strangers. 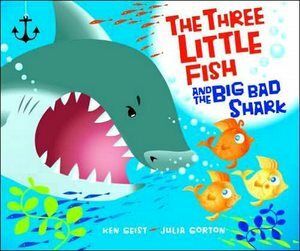 The Three Little Fish And The Big Bad Shark by Ken Geist is a underwater version of The Three Little Pigs with fish and a mean old shark. If you remember in the original the first two pigs are eaten and the third tricks the wolf into being cooked. No fish are eaten and the shark doesn’t die either. Their seaweed and sandcastle houses do get demolished but in the end all three fish make it through and the shark’s teeth all fall out leaving him unable to chomp the little fish. 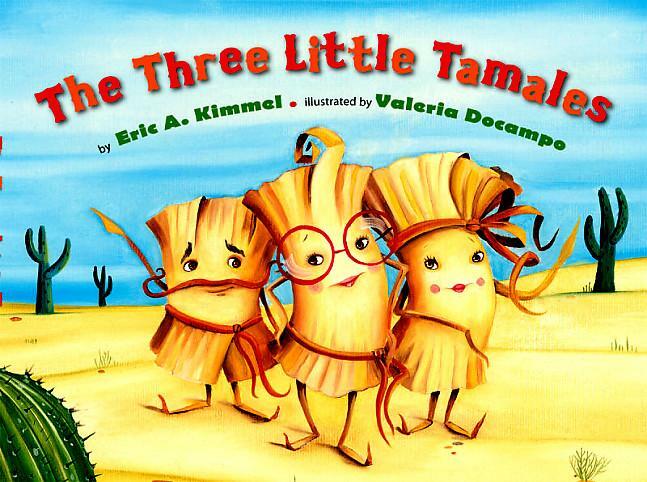 The Three Little Tamales by Eric A. Kimmel is another Three Little Pig redo with a Tex- Mex flavor. In this story there is a wolf but no pigs, instead you get tamales. I loved that the third house was made our of a cactus and that after surviving the wolf the three tamales partied with runaway tortillas. The novelty of the new characters will bring this old tale back to life for your kids as well as make you seriously crave good Tex-Mex. 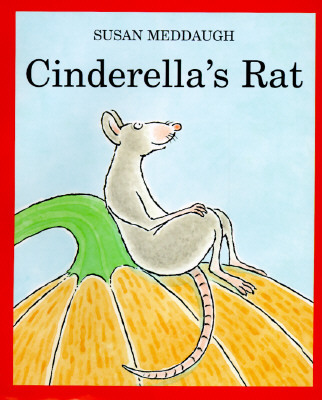 Cinderella’s Rat by Susan Meddaugh isn’t a retelling of Cinderella so much as a little side story readers probably have never heard before, I know I hadn’t. A pair of rats are caught by Cinderella’s fairy godmother and one is turned into a footman for her coach. The other remains a rat but after dropping Cinderella off at the ball they both go in search of a wizard to turn her into a girl. There are a few bumps a long the way that will have your kids giggling for sure but they succeed. Of course we all know that the fairy god mother’s spell only lasts until midnight…too bad the rats didn’t. See how it all ends for yourself. I like this book and it’s a great intro into writing projects about minor characters and their untold narratives. 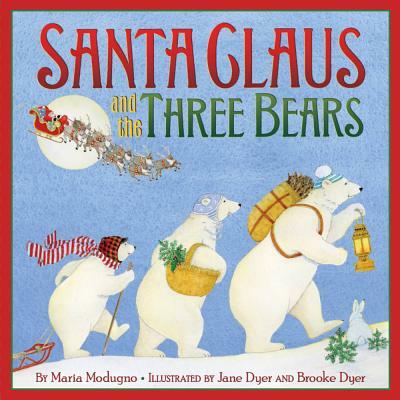 Santa Claus and the Three Bears by Maria Modugno is a holiday version of Goldilocks and The Three Bears with Santa standing in for Goldilocks and a family of polar bears instead of grizzlies. I really liked this book. It doesn’t stray too far from the original other than the character substitutions but the changes are delightful as are the illustrations. This book will have you and your children reaching for hot cocoa and candy canes! 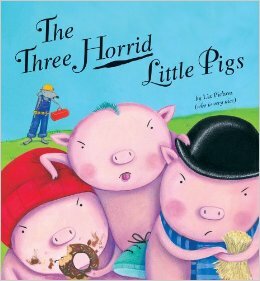 The Three Horrid Little Pigs by Liz Pichon was a great read! No big bad wolf , just a bunch of rude horrid little pigs! Unlike in the traditional telling of this story no one gets eaten in this book. The wolf is a friendly builder and even the lazy pigs learn their lesson. 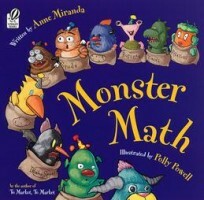 The illustrations are bright, fun and my three year old loved them. 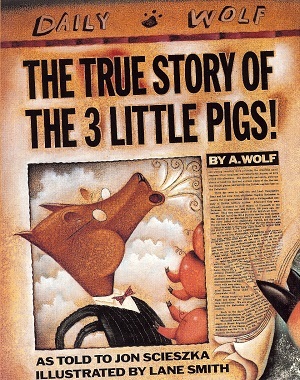 The True Story of the Three Little Pigs by Jon Scieszka is one of my favorite fractured fairy tales. In this book readers get to hear the wolf’s side of the story. He wasn’t trying to hurt any pigs , it was all a series of accidents and you can’t let meat go to waste so eating the pigs was just practical! 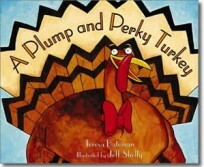 I love the humor of this book but what I love even more is how it makes children consider different points of view. Tell the Truth, B.B. Wolf by Judy Sierra is a story about forgiveness and restitution. In this book B.B. 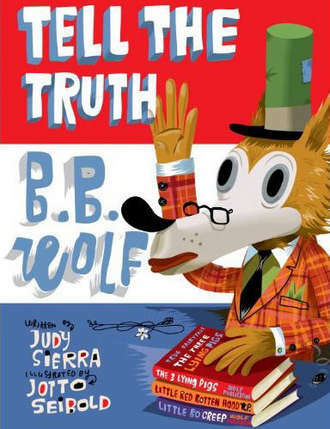 Wolf is asked to tell his side of things at the library many years after the fact. His story isn’t exactly true and other library guests including the three little pigs heckle him until he admits his guilt and asks for forgiveness. It’s a really cute book with some wonderful vocabulary words and great illustrations. 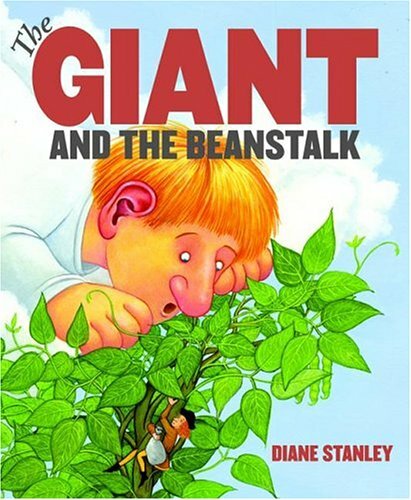 The Giant and the Beanstalk by Diane Stanley is about the giant in Jack and The Beanstalk and how he isn’t like all the other giants at all. This giant is kind and gentle and doesn’t do very well in giant school because he is anything but fierce. When he chases Jack down the beanstalk it isn’t to harm him but rather to get his hen back because he loves her not her golden eggs. On his quest to find Jack and get his hen back he meets many other Jacks from traditional nursery rhymes a long the way. I never realized how many Jacks there are in nursery rhymes until read this book . This is a great story about not judging a book by it’s cover. 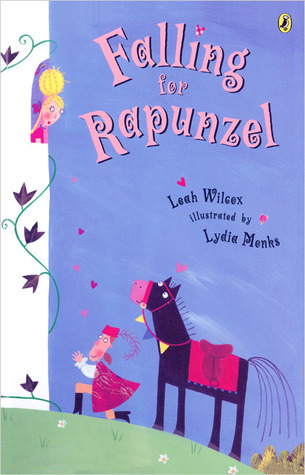 Falling For Rapunzel by Leah Wilcox is snort worthy. Yes this book is so funny the kids will be laughing hysterically and learning all about rhyming at the same time. Rapunzel is having a hard time hearing exactly what Prince Charming is asking her to throw down from her tower and hilarity ensues. Kids will love anticipating what she will throw down next. I won”™t ruin the ending but trust me it”™s hilarious and kids familiar with the traditional version will love telling you how this one is different. The illustrations by Lydia Monks add to the humor perfectly! 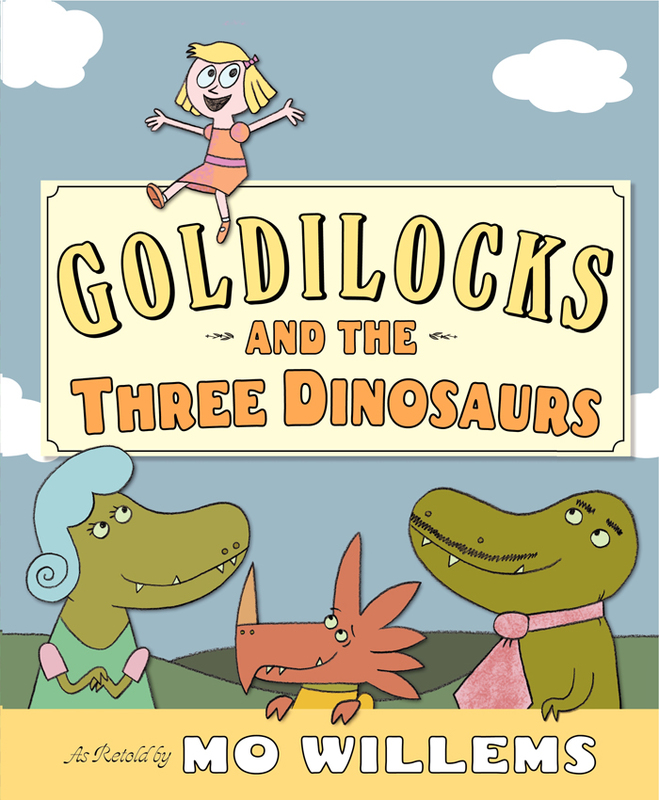 Goldilocks and the Three Dinosaurs: As Retold by Mo Willems by Mo Willems is a funny prehistoric spin on the classic Goldilocks and The Three Bears. There are so many funny details in this book that it’s as much for the adults reading it to their children as it is for the kids. The humor is mostly dry but plentiful and the story itself is engaging as all Willems stories are. If you aren’t familiar with this author you need to grab this and a handful of his other titles from the library asap. 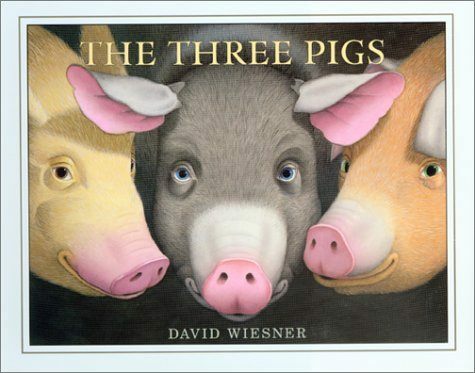 The Three Pigs by David Wiesner is the most creative of all these fantastic books. In this book the three little pigs escape the wolf by escaping the story itself and being blown right off the page. They test out other pages and pick up a dragon and cat ( complete with fiddle) but ultimately want to return home. Together they face and beat the wolf and settle into the brick home of the third pig together with the dragon and cat. The illustrations will delight you. The perspective and imagination in this book is stunning and well worth many many readings. I love to read fractured fairy tales with kids. This is a great list. Three Little Fish and the Big Bad Shark is a favorite around here. The Three Little Tamales is new to me. We’ll have to see if our library has that one! The Three Little Wolves and the Big Bad Pig is my own favourite and it has such an unexpected ending. We also love The Princess and the Peanut: A Royally Allergic Tale. Cute and with a great message to educate kids on nut allergies even if they don’t have one. Children’s librarian here–this my favorite genre! The Wolf Who Cried Boy, The Stinky Cheese Man, and The Cheese are good ones, too! Our nursery curriculum is based on traditional tales and we use the different versions to encourage higher order thinking skills in our children. One of my favourites is The Three Little Wolves and the Big Bad Pig by Eugene Trivizas and Helen Oxenbury. Also Revolting Rhymes by Roald Dahl is fantastic for older children.